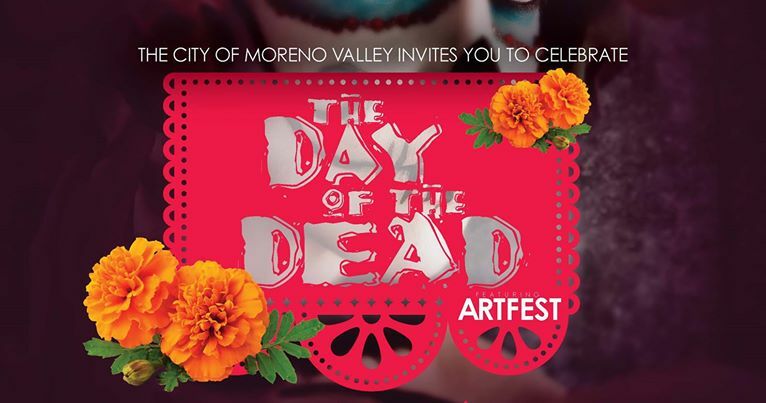 Celebrate and commemorate departed loved ones at the City of Moreno Valley's Day of the Dead Artfest on Friday, November 2. Enjoy delicious food, incredible entertainment, and a wide variety of vendors. A selection of creative altars honoring loved ones will also be on display. Don't forget to bring your blankets and lawn chairs. 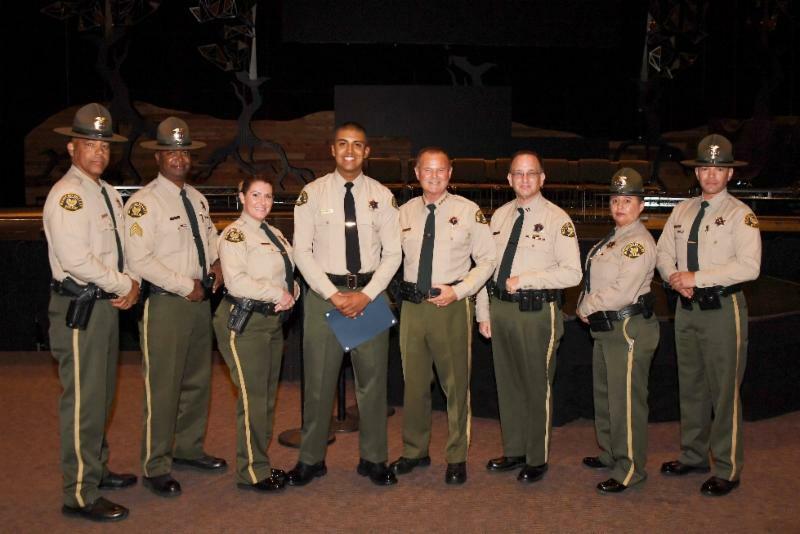 Former Moreno Valley Police Department Explorer Ishmael Bermudez fulfilled his dream of a law enforcement career when he graduated from the Riverside County Sheriff’s Department and Moreno Valley College Basic Correctional Deputy Academy. Moreno Valley Police Chief David Kurylowicz and other members of the police department and Explorer program attended the Class 83 graduation to watch Bermudez be sworn in as a Correctional Deputy for the Riverside Sheriff’s Department. Riverside Sheriff’s Correctional Deputies staff the County’s five jails, providing security for inmates, staff and visitors. The Corrections Basic Academy is a 10-week course that covers an extensive range of training, including Hostage Management, Interview and Interrogation, First Aid & CPR Certification, Emergency Response Training and much more. Bermudez became a Moreno Valley Explorer in March 2017. The Explorer Program provides young people between the ages of 14 and 21 years old a hands-on look at a career in law enforcement. Explorers learn the basics of law enforcement along with participating in physical training and volunteering at community events. 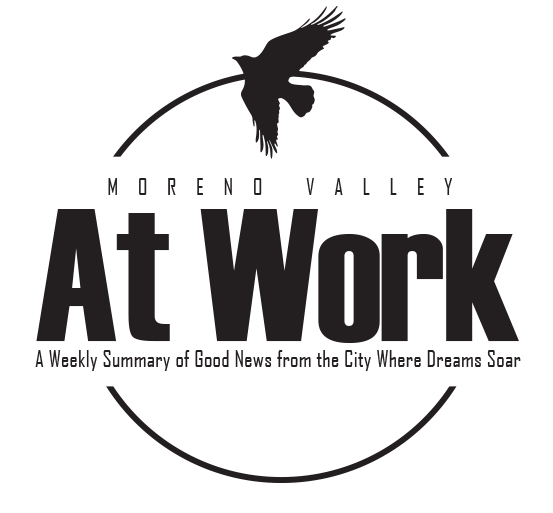 During Bermudez’s time as an explorer in the city of Moreno Valley, he donated more than 300 hours of service and received several accommodations of recognition for his services. Congratulations Correctional Deputy Bermudez on your accomplishment, and we wish you the best of luck in your career as you move up the ranks of the Riverside County Sheriff’s Department! Fifty “ghouls and goblins” from the Parks & Community Services Time for Tots program descended on City Hall this week to trick-or-treat. Dressed as everything from princesses to superheroes to ninjas, the children went from department to department to collect candy. With bags full of candy, they enjoyed games, crafts, a pumpkin patch, and more at the Time for Tots Fall Festival. The Time for Tots program is designed for children between the ages of three and five years old. It is filled with hands-on learning activities reinforcing numbers, alphabet and small and large motor development. Children are involved in a variety of activities, including story time, group games, arts and crafts, and holiday events. Moreno Valley police officers made Halloween even sweeter for our youngest residents. 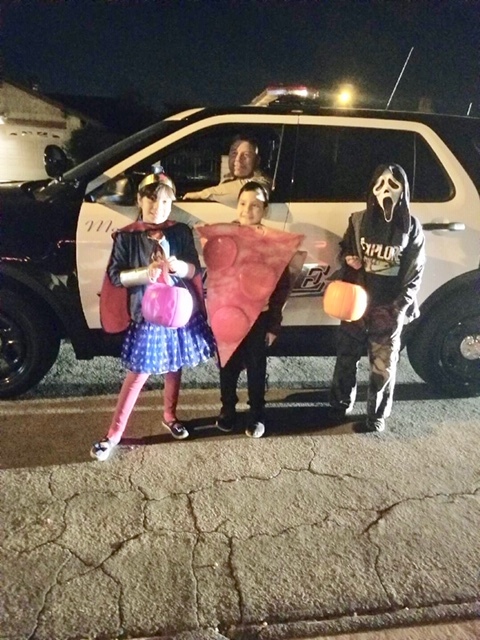 Officers patrolling the City on Halloween weren't just keeping Moreno Valley safe; they were handing out candy to trick-or-treaters. Sergeant Bodnar stopped to talk to three trick-or-treaters who were ecstatic to see a police car driving through their neighborhood. Sgt. Bodnar helped fill their candy bags and took a picture with them. All patrol officers in the City of Moreno Valley were provided with bags of candy to hand out to our trick-or-treaters. Amazon is hiring full-time associates for Moreno Valley and surrounding areas. Join Amazon at an upcoming informational event at the Employment Resource Center. Associates will be on site to answer questions about working for Amazon. The intersection of Ironwood Avenue and Perris Boulevard will be closed on Saturday, November 10 beginning at 6 a.m. due to work being done by Eastern Municipal Water District to improve water volume and pressure. A temporary detour will route motorists around the work zone and restrict access to the east side of the intersection. The detour is planned for all day Saturday. Drivers are encouraged to use an alternate route to avoid any delays. The closure is necessary to accommodate work related to EMWD's new booster station on Elder Avenue which will provide better water volume, pressure, and the transport of clean, potable water for City residents. 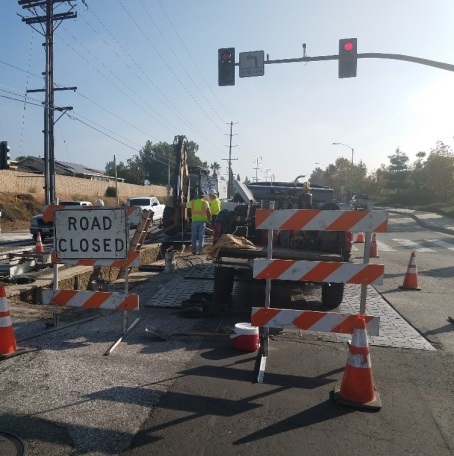 Work to complete final water line connections and pavement repairs will continue along Perris Boulevard and will require intermittent lane closures. For more information, please contact the City's Land Development Division at 951.413.3120. ﻿We appreciate the community’s patience during this process. Upon request, this news release will be made available in appropriate alternative formats to persons with disabilities, in compliance with the Americans with Disabilities Act of 1990. Any person with a disability who requires a modification or accommodation in order to participate in this meeting should direct such requests to Guy Pegan, ADA Coordinator, at 951.413.3120 at least 72 hours before the meeting. The 72-hour notification will enable the City to make reasonable arrangements to ensure accessibility to this meeting.